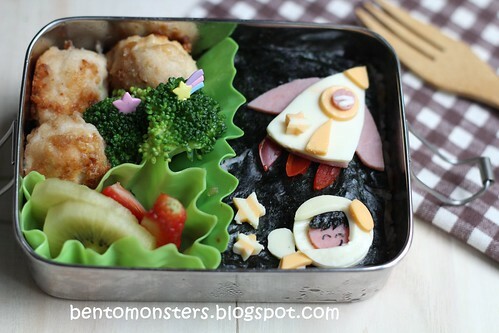 Bento for IT, in the box are multi grained rice, chicken balls, broccoli, golden kiwis and strawberries. 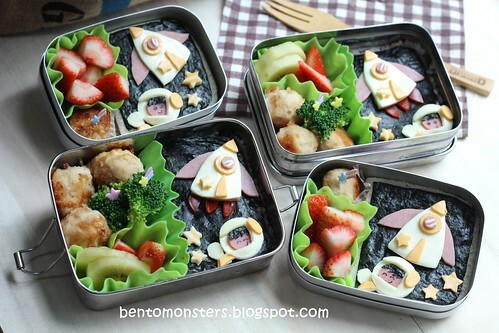 Bento for IT's recess, in the box are nutella bread, chicken ball and strawberries. 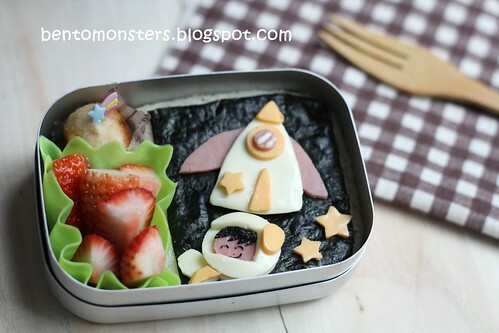 Decor's done with cheese and ham. 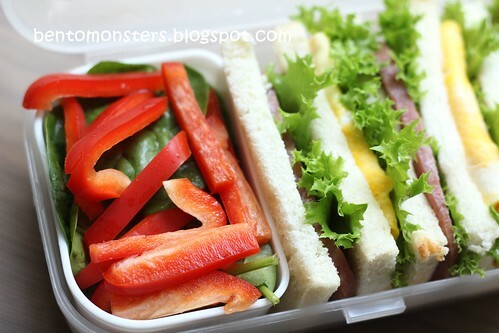 And back to my lunch, in the box are salad in Japanese soya sauce dressing and spam/egg sandwiches. 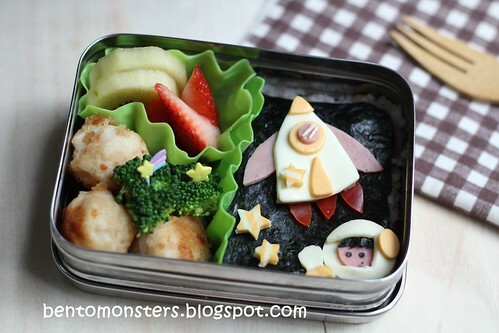 Love, love,love your astronaut and rocket bento!! 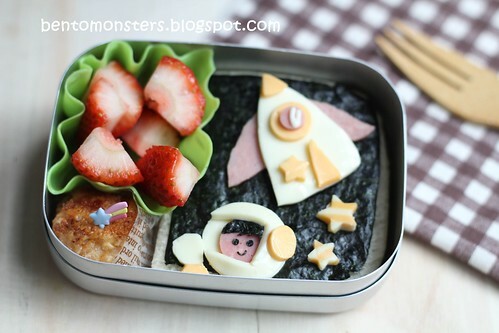 I was thinking of making a rocket with bread but don't have any cutter for it. 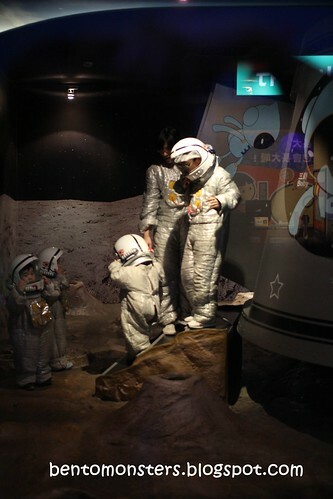 Yours really inspires me!